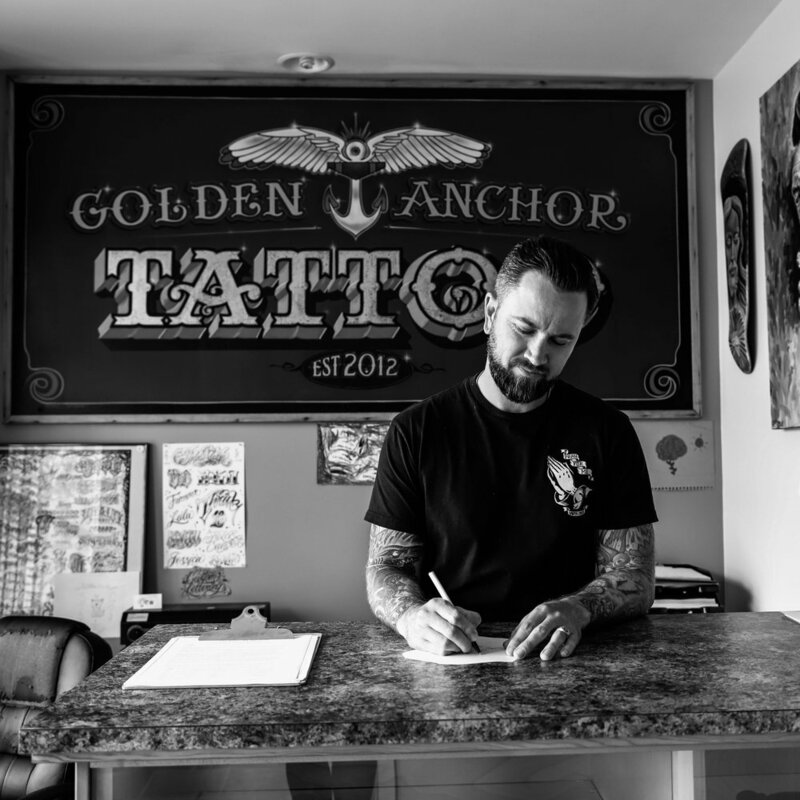 Welcome to Golden Anchor Tattoo, located by the water in beautiful Campbell River, BC, Canada. You will experience a safe, friendly, exceptionally clean environment and professional service. At Golden Anchor Tattoo we specialise in creating a tattoo that the client and artist can be proud of. Ryan particularly enjoys tattooing black and grey realism but is happy to do color and other styles. 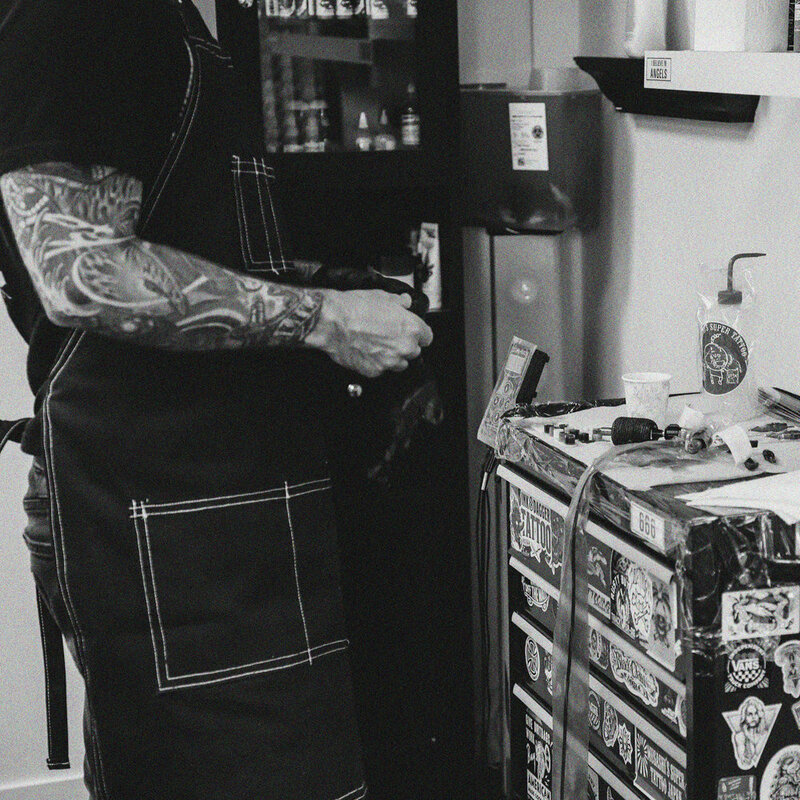 Ryan has been tattooing since 2007 and is constantly trying to grow as an artist. Kyle was born and raised in the beautiful island town of Campbell River. 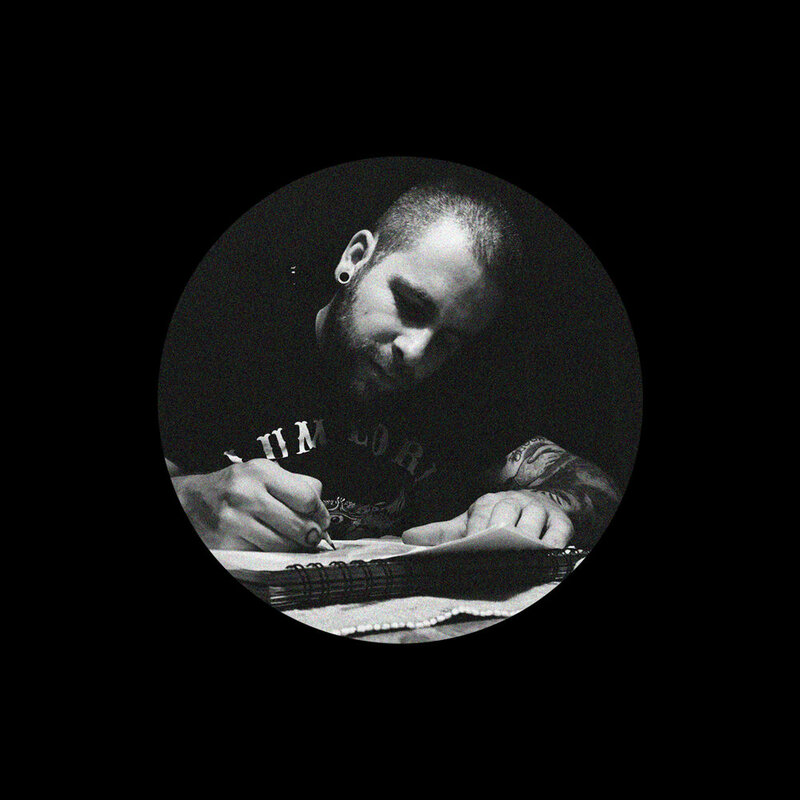 He has been tattooing for just over 5 years and continues to grow and thrive with his work. He enjoys tattooing a wide variety of styles but has a passion for bold traditional pieces, realistic black & grey, and of course custom lettering. 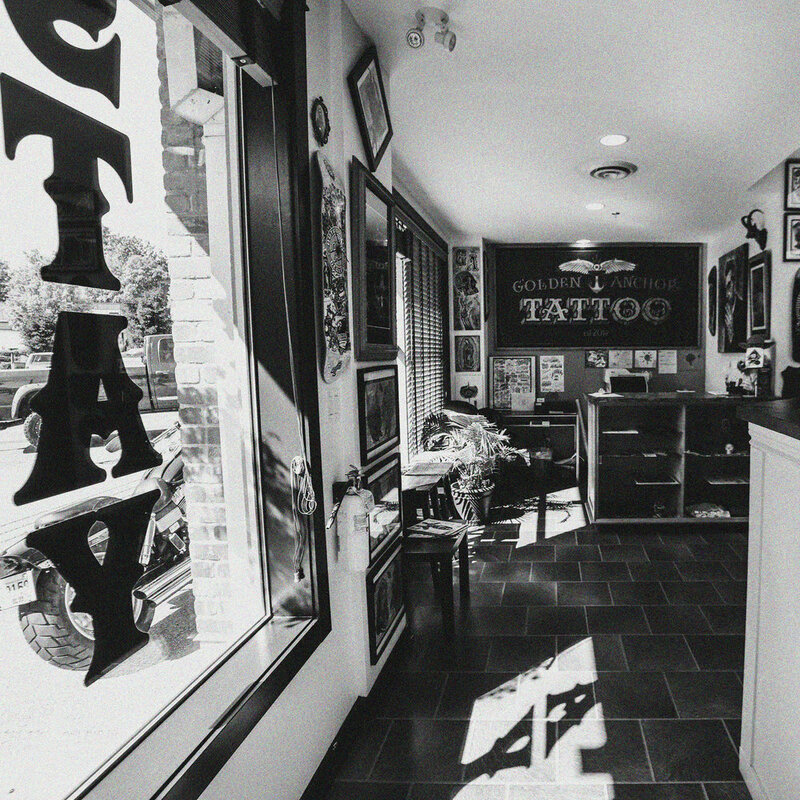 Come on down and book a consultation with him to get your next tattoo project started! Curt started tattooing in 2004. After years of drawing and being influenced by skateboard art and seeing tattoos on punk rock and metal musicians, the artistic fire grew uncontrollable! He is stoked to return to his home town of Campbell River after tattooing for 14 years! Brenna is currently apprenticing at Golden Anchor Tattoo. She is a classically trained illustrator and painting who moved to Campbell River in 2017. She graduated with a degree in graphic design from Capilano University in Vancouver and has worked on a variety of freelance projects ranging from posters, board games, comics etc. But her main interest has always been in the art of tattooing. She is incredibly excited to be part of the team at Golden Anchor and is determined to try her best. At Golden Anchor Tattoo we pride ourselves on safety and cleanliness. Everything we use here is sterile, disposable and one use only. We have worked hard to build a strong, trustworthy reputation with our clients and community and will continually strive to keep it by staying up to date with the most current regulations and health standards.